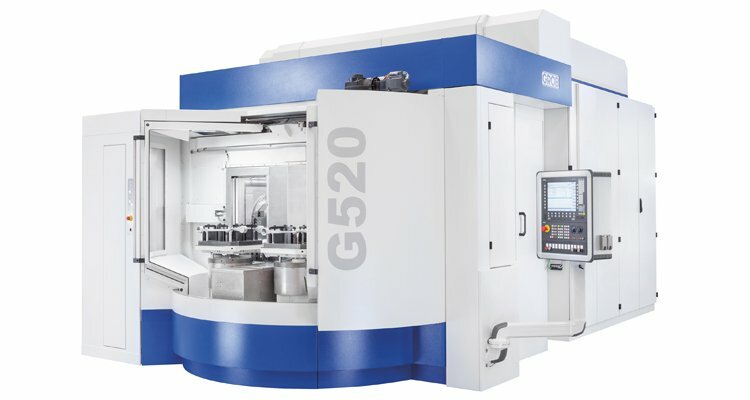 The GROB system machines, universal machining centers and assembly lines are among the best in the world – our matching automation solutions make them even more efficient. To maintain the highest quality standard, all components are produced in-house and are optimally matched to our customers' specific needs. GROB's semi-automated to fully automated technology guarantees optimized part handling and efficient production. 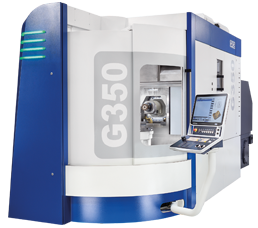 Improve the productivity of your GROB machine by setup during part machining. A rotating pallet changer exchanges the pallets between setup station and work area of the machine and clamps the pallets on the rotary table and the setup station. A high degree of process reliability is guaranteed by an integrated seating check system and by flushing the zero point clamping system during the pallet change sequence. The GROB rotary pallet storage system expands the G-module to a flexible production cell to offer optimum entry to automated, highly efficient production. The linear pallet storage system is a modular system designed for stand-alone machines or for linking identical machining centers. Customers can decide on two or more storage levels and a variable number of setup stations to suit their particular requirement. The agile loading gantry is set apart by the extremely high acceleration rates and velocities achieved, and is suitable for loading medium-weight parts. This system offers other benefits in its ability to adapt simply to new part types. Thanks to its compact design, it can also be used in production halls with low hall height. The minimum number of components guarantees the highest availability. The Cartesian linear gantry is designed for the fully automated direct loading of a G-module from above and is available in three different versions. It has one vertical axis per carriage and is therefore also suitable for extremely heavy parts. The Cartesian linear system travels in the horizontal and vertical plane at the same time, thereby also achieving more efficiency. The Cartesian linear gantry with telescope is one of GROB's most recent top loading developments and is especially suitable for use in production halls with a low ceiling height. The automatic sliding changer is normally equipped with a loading portal. 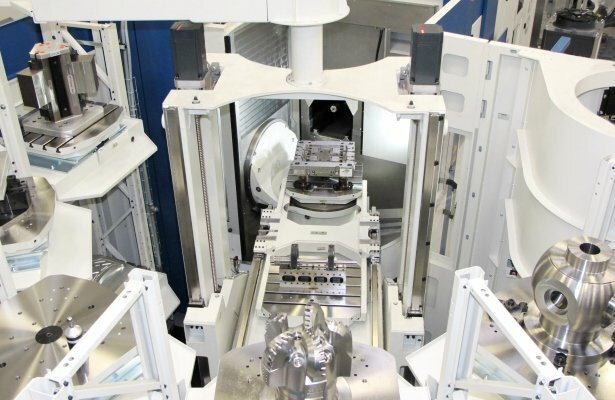 Loading with agile loading gantry and automatic sliding changer is the GROB standard for automated, decoupled loading processes that guarantee minimum non-productive times during the machining process. The swiveling changer decouples the part transport process from the machine loading process, which can be done either manually or via a portal. It is suitable for both partially and fully automated loading. A swiveling changer is able to load two machines, positioned opposite one another to save space, in succession. The standard automation system is executed as a friction-type roller conveyor and can be employed on all GROB machines. All rollers are simultaneously driven by a tangential chain. The height of the roller conveyor is adapted as required. Drip pans made of galvanized steel sheet or stainless steel are available as an option. Lifts serve to compensate level differences, thereby allowing automation system guidance across multiple levels. Transport across obstacles and travel paths is therefore also possible. Often, lifts combined with automation systems across several levels are used as a storage system. Swivel conveyors create passageway through the automation system to guarantee passageway to the individual plant parts. These components are used wherever the automation system has to be crossed at ground level. Rotary tables are used to alter the transport direction and also as switch points. This permits direction changes in 90° increments. The orientation of the pallet to the transport direction is always maintained. Similar to the rotary tables, lift transverse units can be used as switch points. Lift transverse units are often used to unload and load parts from and to the material flow for measuring and inspection tasks. Likewise, rotary table and lift transverse unit can be combined to form one lift rotate unit. Swivel units allow pallets or parts to change direction. They can also be used in inspection stations, where they permit access to the part from all sides. There is a broad range of storage systems to choose from. Part and pallet storage systems, as well as component storage systems are available. Storage systems are used primarily for buffering and sorting tasks. SPC stations are single workstations along the manufacturing line, at which parts can be loaded and unloaded for statistic process controls. 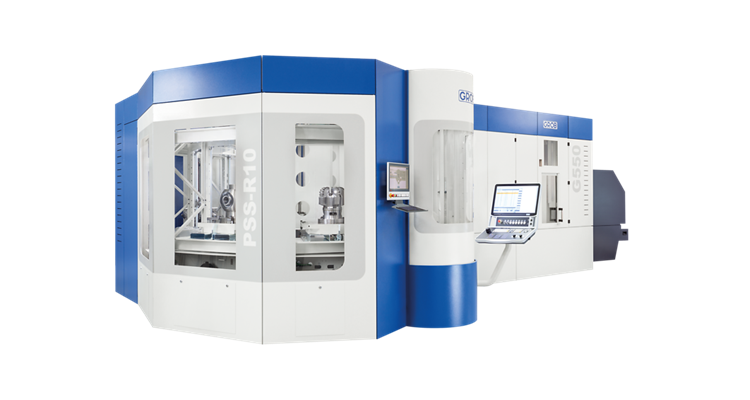 The GROB rotary pallet storage system expands the G-module to a flexible manufacturing cell.